So many to choose from! Lets us boil it down. What things do you need to consider when buying bookshelf speakers? There are basically four things you should take into consideration when shopping for bookshelf speakers. Space – How big is the room you plan to put these in? Bookshelf speakers can be impressive but in a large room sometimes they are just not going to be able to move enough air to get the job done. If you have a smaller sized room, something less than 8-10ft wide and 10-15ft long you may want to consider bookshelf speakers and a sub set up. Imaging can sometimes be better and room reflections can be mitigated by seating distance from bookshelf speakers. The great thing about most bookshelf speakers, being smaller and just two-way, you can sit very close to them and you hear the music as one. Instead of hearing the tweeter and the woofer working separately. Music Style – What kind of music you listen to can be greatly enhanced or detracted from by your speaker choice. Lucky most speakers under $1000 tend to sounds good across a large variety of music, but some have more bump, thump, or detail than others. Some are laid back, good for jazz or acoustic, while others that thump are better for rock, pop, and rap. Just looking at the speaker specs wont tell you how the speaker sounds, so you’ll want to research, read reviews, pro and user reviews, to get an idea of how the speaker will sound. If you can, it is always best to audition the speaker in person with power and input devices similar to your home set up. Associated Equipment – You’ll want to make sure that your amp and input sources characteristics match your speaker characteristics for a desired result. For instance, if your amp is known to be bright, and you get speakers that are also known to be bright, the combo of the two can be over bearing and make listening unpleasant. If your pre-amp or tuner has high and low controls you can adjust for this. If they don’t, than it is a major part of pairing your equipment. Home Theater or Stereo Only – If you plan to build up a home theater system at some point it is good to consider if the speakers you are purchasing have associated surrounds, center, and sub speakers paired with the bookshelf. In a surround sound system having matching sounding speakers is very important. Experts may all agree on the advantages or shortcomings of any product they review but, at AudioReview.com, we believe that the average consumer can best summarize all the details a product has to offerâ€¦ So read what users have to says! WhatHiFi – After all, they were What Hi-Fi? Sound and Vision Award-winners in 2007 and 2008, and to date we havenâ€™t reviewed another speaker capable of worrying these entry-level marvels. 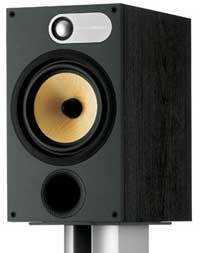 AudioReview - 8 Reviews 4.88 of 5 – writes – Base is much tighter and punchy than the old 602′s. Massive base for such a small speaker! Clarity is mind blowing, especially with Jazz recordings. AX-2S – positive-feedback.com – Gary Beard – In my opinion, the best word to describe the sound of the Audio Note AX-2 Signatures is “balance.” From top to bottom, these little speakers never give any reason to single out a specific area for comment, and that is a very good thing. AX-2 – AudioReview – RGA – For small speakers, the Piano was highly realistic and fuller bodied than speakers at this price have any right to be. Few speakers I have heard under $1k manage the piano anywhere near as well and that alone along with exceptional female vocals deserve some serious attention. AudioReview - 4 Reviews 5.00 of 5 -Â KevinR writes – Usually, speakers that cost considerably less than my Paradigms don’t fare well in comparison. The Sierra-1 was the exception. The mid-range was open and detailed. The bass was exceptional for a bookshelf. The soundstage was wide and deep. Tony Levin’s bass on “Liquid Tension Experiment” came through with exceptional detail. Vocals were neutral, with no sibilance. enjoythemusic.com – enjoythemusic.com Best of 2009 – With a full-range driver on an open baffle it gives you superb focus, transparency, timing and phase coherence. Place them out into the room on solid stands and it delivers a wide, deep soundscape with excellent definition. AudioReview - Poultrygeist – The Tekton Model OB4.5 for $550 is in a class by itself. GreenbergAudio Magazine – I’ve heard highly-regarded $2,000 two-way 6-inchers that could not keep up with the Mini Monitor. AudioReview - 171 Reviews 4.57 of 5 – Nick Ade – writes – Crossover setting is beautifully low at 2 khz. The tweeter can perform well, and can be heard well off axis, where frequency response does not drop off nearly as rapidly as with other bookshelf models. Build quality is superb for a sub $400/pair speaker, I like the dark cherry veneer. I listen to my music with no eq/bass enhancement, etc, and these speakers are perfect for the discerning stereo enthusiast. AudioReview - 2 Reviews 4.67 of 5 – D Smith – writes – Everything is quite clear, and they have good volume. I’ve never managed to get the volume on my receiver past about 60%, because it simply hurts too much. Bass is extraordinary for the size of the speaker (about knee height), but vocals still remain clear. If you think we left out a great bookshelf speaker that is sub $1000, let us and others know why you think it should be included. Use the comment box below.Â There are obviously a lot of great speakers out there that fit a lot of taste.Â So help those on the hunt and let them know what you think is best. The Sierra-1 ranges from about $850 to $950, depending on finish. How about an article on Bookshelves under $300.00? They are Bookshelves after all. My wife gives me crazy looks when I want to spend $200-$300 on Bookshelves for my deployment. Not all of us are single, have audiophile wives, or even the financial means to drop $1000 for bookshelves. My Bose 901′s where only $1000 after all and their the main speakers in my home. monitor audio all the way. read the specs! and then listen. by far the best in its price range. 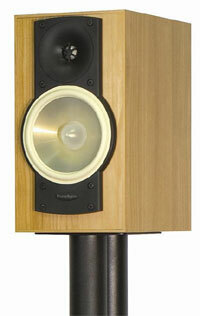 funny how the Paradigm Studio 10s arent mentioned yet on several sites they beat the B&W 685s…who is in charge here? I want answers…step up to the plate. The new Paradigm studio 10s are awesome!!! How about the Revel Concerta M12′s? 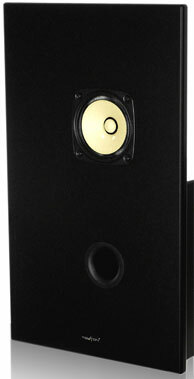 I know that there are comprimises for speakers under 1000, but these do pretty well for $700. I listened to both the B&W 685 and the Paradigm Mini Monitors: both sounded amazing. Mini Monitors are half the price. 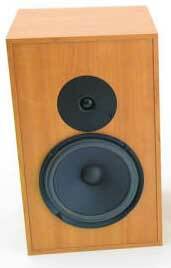 Why wasn’t the Wharfedale Diamond 9.1′s on the list? Are they to old or cheap? 3. Detail, transparent and focus, but not drawing attention to itself, the attention is on the music, enable me to deeply listen to the music. Iâ€™ve compared the F1 Custom with some good speakers: Wharfedale Diamond 9.1, PSB Alpha B1, Paradigm Atom, Usher S512, B&W 686 & Epos ELS8. IMHO, the F1 Custom has some serious advantages over those speakers. Prices (US retail price): the F1 Custom is USD140, the PSB USD 280, and the others are above USD300 (the Usher is above USD400). I belief the F1 Custom is an underrated performer, partly due to its low price, where some recommendations I read is just to use it in a mini hi-fi system. Actually it strongly competes against USD 250 â€“ 450 loudspeakers with a real chance of winning. Seriously recommended. Yes, I was glad to see your post. I owned an older pair of Mercury mx-2. The balance, musicality were simply better than anything else for, at that time, about $400. Nothing else I have heard was as good. The new F1 should be even better. I’ve adored my Quad 12Ls for a few years now and though they cost me $800AUD on a clearance, down from $1200AUD, they’re easily better than any $1500AUD floor standing speaker I could buy locally. They need great components feeding them and don’t do well with low power amps or small spaces but give them their proper diet and they’ll fill a bigger room than most with delightfully rich sound. also don’t forget Totem Acoustics bookshelf monitors, not all of them are under a grand but most of them are and are said to have some great sound. Someone asked above \How about an article on best book shelf speakers under $300?\ Well here is best under $500 in my opinion. Polk Audio RTiA3′s easily belong in this best under $1,000 group but are around $455 for a pair. Very solidly built, beautiful cherry wood laminate and amazing sound quality as surrounds, even as mains in a smaller room along with the Polk Audio CSiA4 center. Just my humble opinion, but do a search for reviews yourself. Surprised Totem acoustics didn’t find it’s way in here. Are Paradigm’s really better than the Mite? Aren’t Mites under one K? Bought some Monitor Audio Bronze 1s 8 yeasr ago on sale for $250 while the MSRP was $400. I wouldn’t spend less than $300 on a bookshelf unless they are higher valued speakers on sale. You might not be happy with the sound, but maybe someone has a really good find? PS… isn’t the Paradigm mini monitor at $339 close enough? I’m sure you could work a salesman down to $300. Pretty sure the Totem Mites are under $1K. And Totem has great imaging, soundstage and prescence. Surprised they didn’t get on this list. (You can actually get the Totem Rainmaker on sale for under a grand as well, but if this list is by MSRP, then the Mites Definately shoulda been on this list). I agree the Polk RtiA3′s deserve mention as a best under $1000.00. They sound better than many floor standing speakers. I own a pair and absolutely love them. The best $450.00 I’ve ever spent. Peace Out. With so many great bookshelf speakers availbable today I’m sure putting together a rather small list is probably a rather difficult assignment. My take: Axiom Audio and Aperion Audio must be up for serious consideration. I own Axiom M3ti’s and they are just fabulous. Extremely transparent and balaned…for less than $350 a pair. I’ll put them up with just about anyone in blind test, anyone. Web-based only audio companies save tons of cash, no middle ground for mark up. Can’t say that about B&W. Did anybody give a listen to the Focal Chorus bookshelf speakers either the 700v or the 800v. I just bought a pair of the 807v and I am impressed with them. PSB ALPHA B-1S, save your money and buy your wife a dress. I’m surprised we haven’t seen the Emotiva name mentioned thus far. While Emotiva is well regarded for their electronics and spoken of in forums throughout the web, their bookshelf speakers may be some of the finest $600 options available. Advanced, adjustable slope settings;Boundary compensation and quite sophisticated crossover technology are included. Superb Q/C and Internet Direct pricing equals strong product/value ratio that can be auditioned without risk. Break them in for a week and I bet you’ll keep them! jm lab 706 are top shelf at only 800 to 1000 bucks !! I have heard Bose 301s vs. many other speakers and the Bose never once came up on the winning end vs. speakers in their price range. eee wtf, they don’t even put some focal on the list !!!!!!!!!!!!!! The experts on this site have actually tested all these speakers unlike every single reviewer here, so you really have to stop pretending you know better when you don’t. Please include the Axiom M22 V3s in your next sub $1k bookshelf comparison. They are an amazing value and I’d bet they compare to the B&W nicely. 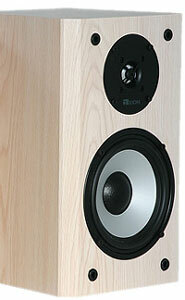 Recently bought a pair of Tekton Design OB4.5′s with tweeter add on for an extra $50. They are a truly unbelievable deal for $600. You will need a sub to help them troll the depths on classical or rock with big bottom end, but they will play with any speaker under $5000 with no sub needed. With Eric’s 30 day trial, you can try a pair and send them back if they don’t float your boat. They’ll float it and make you feel like it’s a $100,000 Cigarette with triple 1000HP engines……. Just flat out good and the cabinet finish is as good as any(I said any) speaker made, including WIlson MAXX’s and things way out there…. D1.1 se’s go for $ 599.00. Once you discover them, your search is over. You have found the Holy Grail. I have Monitor Audio Silver RS1 and they are the top! Melody Gardot is standing next to me in the room. Tord Gustavsen is playing piano in my livingroom. Recently auditioned the Paradigm Studio 10 against my older E 700 Jamos. Jamos won hands down for me. Alot smoother and easy to listen too. Studio 10 sounded harsh and strained. Opinion supported by local HiFi dealer that used to sell both. Apparently I like the Jamo sound, very similar to ProAc and I love Studio 150s, but that is something else. b&w 685′s are simply amazing. 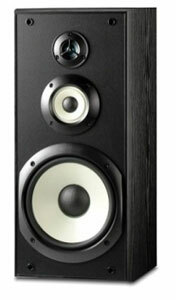 10 weeks to b&w 685 to break-in, dont be panic let the time do good to your speakers. i own a pair and OMG… with Bryston and rotel they sound Amazing !! much betther like Monitor Audio BX2? I’m jus curious. Am I mistaken? I thought I would have seen one or more powered speakers making the cut…. Who is selling Paradigm mini monitors for $339? My local dealers want $425. and $399. for a pair. I am using a Denon AVR -3300 recv. 105 watts rms and I will be using a 100 watt powered Yamaha Sub to assist the front speakers. (however I do see a lot of refurb. Polks which makes me leary of the quaility). What does the audio community think of the Canadian speaker, Axiom M3 bookshelf speakers? There is a local guy on Craigslist selling a used set of 5 for $200. cash, are they worth a listen/ consideration. I had a pair of Axiom M22′s amd they were outstanding with a subwoofer. I auditioned many speakers to replace them, including Paradigm (Studio 10 was my fave) B&W (loved the CM5) and Monitor Audio (RS6 – now RX6 – rocked). I recently bit the bullet and bought a pair of Ascend Sierra 1′s. Best – by far – out of the bunch to my ears. A small speaker with a 5″ woofer. I turned off my sub… Well, I plug it in for movies. Both ELAC and Canton have various inexpensive models that should not be ignored. Looking for superior sound from a bookshelf speaker at a fraction of the cost: Mordaunt-Short Carnival 2 Stand-Mount Speakers. MSRP 299.00. Surf the web for even lower prices. I recently got some used Silverline Minuets from Audiogon and WOW – they are amazing. My nearfield audiophile setup doubles as my computer desk so my options were limited in the first place but they exceeded my expectations. They replaced a 2.1 Orb Mod4 setup that was very accurate but produced almost no soundstage. These completely disappear and produce a soundstage that’s about 10 feet away. Not bad considering that I’m sitting about 2 feet away from them. What about Epos M5 or M12.2 . I had the Paradigm,B&W’s and Monitor Audios etc.. The Epos give some of the best imaging and detail i have ever heard in there price point. Matched up with the right amp and you have a real hi end system. I cant believe paradigm is put in this class of speakers. Paradigm gives good bass and sound good but not the imaging and sound stage you get from alot of the others mentioned in the list. Not as musical either. 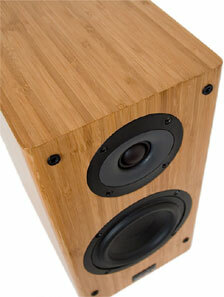 Another really nice speaker is the Angstrom Pochetto II. What’s the consensus among audiophiles on Focal? I listened to their tower and bookshelf speakers today for the first time and was very impressed. I visited Abt… to look at the Polk TSI400C (I was not impressed with Polk’s new cheap look – I can only assume that the overall quality has dropped) and the saleman directed me towards the Focal towers and Focal Chorus 705V Bookshelves. I was very impressed by the 705V’s for what they cost, $439. I know very little about Focal, why is so little written about them? B&W CM1 is just around $1k, and won the prestigious EISA award a few years back…sounds to me like the 685 but smoother and with tighter, deeper bass. Beautiful cabinets and build quality, even though made in China. Bi-wireable, unlike the Dynaudio’s, and a bit cheaper, too. I love ‘em! Polk LSi9′s are the best bookshelf speakers that I have ever heard and I have owned quite a few bookshelf speakers but…., in my opinion, these people do have a tendency to be quite biased toward certain companies according to geographic location. You skipped over Dave Ellis’ 1801b’s. Sure they’re DIY kits, but they’re incredible. Is there a new list? I imagine the newer Hsu HB1 mk2 would be a shoo-in. I have tested almost all of the speakers mentioned in the above, and some also mentioned in the comments. However, the Von Schweikert VR-1′s exceed all of them in dynamics, range, bass weight, clarity, soundstage and focus. DO NOT TRUST ANY “SOURCE” THAT GETS PAID BY ADVERTISING CERTAIN BRANDS!!!! As an audiophile with more than 10 years of experience I can say popular magazines and websites should not be trusted 100%. If you need to know if a speaker sounds good to you, arrange a demo at your local dealer or visit reputable forums like http://www.avsforum.com/ where audio engineers, consumers and audiophiles talk about their experiences with Hi-Fi components. Get real info from reliable sources. I’ve owned KEF (XQ 20), B&W (685) and Polk Audio (LSi 9) speakers since I love their build quality and their price/sound quality ratio is excellent. My favourite brands for “moving” these babies are Harman/Kardon, Arcam and Rotel…again…their price/performance ratio is excellent. Many so called “audiophiles” and critics wouldn’t here any difference in a blind a/b testing session between, say, my Arcam + Polk Audio LSi system and another more “exotic” and much more expensive (using the same cables and source). I’ve witnessed this many many times. These business people have a maxima: “the more cash you spend, the better sound you’ll get” and that’s not true. Three weeks ago I bought a pair of Polk Audio RTi A3 for 290â‚¬ for my bedroom (paired with a harman kardon 980 amplifier)…and, to make the story short, all I can say is RTi A3′s surprised me very positively. It’s a steal to get that build and sound quality for just 290â‚¬!!! I could not believe it and I suggest you hear them at you local store, really. These cheap babies (RTi A3) sound just as good as other more expensive speakers but with a 2x-3x lower price, trust me, go listen to them and evaluate. Don’t end up being another obsessed slave in the Hi-Fi chain. Mordaunt Short! Very surprised none of these beauties made the list. Having owned two pairs myself and having a brother-in-law who works for a hi-fi shop, I totally feel they can hang with most if not all the above mentioned speakers. Boston MR-V50 sounds good with my Rotel power but I’m just a poor man that just want his music. Hell yeah. My Klipsch B-2 make a real nice sweet sound with my Nakamichi STASIS amp and Yamaha CD-1 player. I found their sound to be very accurate, the bass adequate and I enjoy enormously them for less than $200. Maybe I’m dumb but I love them. What about Mackie 826? The old ones are cheap on eBay and sound great and way better than m audio and really great for book shelf speakers! We also own Quads, but the L211s, a somewhat smaller version of what was mentioned above. It took them a long time to break in, and they lacked warmth during the break-in period. But once that was over, we had superb sound. I use a sub with them. What I like about these speakers is that detail sounds “real” and blended rather than separate and distracting. Percussive and string instruments sound wonderful. We listen to a very wide variety of music, however, and the little Quads can handle them all. I’ve liked Klipsch for a long time, and I would buy Klipsch again, but I certainly wouldn’t trade the Quads at this point. And, as an extra, they’re also beautiful. Max speakers uses the same tweeter. So it has to be good. Glorlious midrange and perfect highs. I’m stuck with these thankfully. I’m using them in both 2 channel with a primaluna tube inter. I say the KEF Q300 bookshelf speakers should be included in this bunch. They can be found for under $500 used or as an open box item. New I believe they go for $650 shipped. I have them in my system and love them. 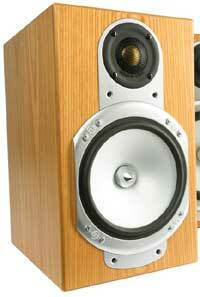 They are powered by a re-built Sumo Nine amplifier along with a Grant Fidelity DAC-09. The imaging is dead center and the music is just sweet to me. WHAT about the Yamaha Saovo 900 -m’s?? or Saovo 2? surely they will knock the B&W of their pedestal? I recently purchased a pair of svs mbs-02 bookshelf speakers in a rosewood finish. They list for $899 I believe but were on sale for $399 when I picked them up. They are tied to a pioneer spec 1 pre and spec 2 power amp with 250 watts going to each @ 8 ohms. 12 guage wire and banana plugs on the amp side spades on the speakers. The speakers are 28 pounds a piece. More than double your average bookshelf. People look for the sub in my room but I don’t have one. I don’t think you will find many bookshelf speakers this capable @ 2000. For 399 they are giving them away. The clairty from PC 1.5 is much better than the Mini monitors, but the soundstage and warmth of the Paradigms is excellent, plus is does not take much to drive this 8ohm 92 dB speakers. The Phase Tech are 4 ohms 90dB and benefit from a quaility amp. I also mightily agree with Peter here, the Phase Technology PC series is an outstanding choice, if I had to go with over $500 bookshelves I could live happily for years with something in the PC line. Even the Velocity series is not too shabby, and quite a bit cheaper. how come nobody mentioned the m&k lcr-750. Using the words “bookshelf speakers” and “under $1000″ in the same sentence is a ridiculous notion to many of us. Truthfully because value of a speaker includes what you get for the MONEY you pay, and I don’t know too many folks who gleefully go out to audition bookshelves with $1000 in their pocket, i think the REAL tell-tale signs of an incredible bookshelf pair should really be limited to something more like “under $500.” The reason for this is simple– law of diminishing returns. I may not be a wealthy audiophile but I can GUARANTEE you I can find a set of under $500 bookshelves that will rival (and probably in some ways best) something in the next higher $500 range. That said, I was very happy to see the Ascend Sierras on this list, as the CBM-170s were left off the last list like this that audioreview did (I believe that one was indeed for bookshelves under $500). But, the CBM-170s are THE BEST VALUE IN A BOOKSHELF SPEAKER FOR UNDER $1000. The Sierras indeed sound a bit better. But not $550 better. Add in all the tweaks you may want on them (wood finishes, magnetic shielding, etc) and you hit the $1000 mark pretty fast. The CBM-170s are already magnetically shielded, and you simply take them the way they come- IOW all the product development on the CBMs went into the SOUND. On sale for $300/pair right now, they still can’t be beat. What about Dynaudio Audience 42. These little wonders have displaced my Definitive BP10 as my front speakers. I leave them on large speaker settings to get the most out of them. I have them on stands and use my subwoofer with them. Don’t call them bookshelf speakers. They deserve to be on stands. Polk RTiA3 please. I had the Polk RTi6. Sonically the same as RTiA3′s. Same drivers. They are nice sounding speakers but, they could not come anywhere close to my Dynaudio Audience 42′s. These are front row speakers. You feel like you are in the front row of a live performance of whatever you listen to. I have Stan Getz on Verve CD sounds like he is in my living room. Red Hot Chili Peppers, Flea is playing bass in my living room. They work well with all types of music. These are the first speakers that have made me realize what all the fuss is over audiophile speakers. I know now, thanks to my Dynaudio Audience 42 These retailed at $700 a pair. I found mine for $250 used on CL. They are unbelievable. I am looking to get a separate amp to get the most out of these little overachievers . If you have not heard Dynaudio speakers. Please do so, if you get the chance. You will be amazed at the quality of sound coming out of them.